RED HOT ROULETTE BONUS! WIN MYR18 INSTANTLY! Casino Promotion will starts from 01st May 2016 00:00:01 (GMT+8) to 31st May 2016 23:59:59 (GMT+8). Casino Members, who can win continuously by betting on Red/Black 3x in the Live Roulette will get the MYR18 Free Bet. The final result must be shown as a straight win on red or black in Live roulette games. 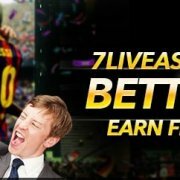 Casino Online Members may contact one of our live chat representatives for the free bet claim, Members are allowed to apply for the bonus once a week only. The Free bet amount has to be rolled over 3 times before withdrawal can be made. 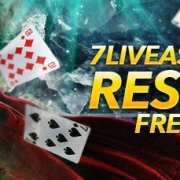 7LiveAsia Casino Malaysia Rescue Fund!